As readers will know, the young well-connected Democrat Conor Lamb won an extremely narrow victory over the older establishment Republican Rick Saccone. He won by 613 votes of the 238,378 cast. Lamb ran as a conservative Democrat, Saccone as a near clone of the president. Saccone should have won big. The district had gone for Trump by twenty points just two years ago. Congressman Murphy ran unopposed in the last two elections, the Democrats seeing no point in running anyone against him. It was a reading-the-tea-leaves election, the kind political observers think might tell us something about the future. It might tell us whether more Democrats can win in Republican districts by running as conservatives. It might also tell us whether those conservative Democrats need to be pro-life. I think the answers are yes to the first and no to the second. If I understand it, the idea is that the Democratic Party can win back some of the voters once called “Reagan Democrats.” These voters support the Republicans partly because they share the party’s view on social issues like abortion and homosexuality, as well as on immigration and gun control—in other words, they reject the cultural left—but they still hold old Democratic positions on economics. A candidate who opposed cultural liberalism while supporting unions and a moderate welfare state would win their vote. It would help if he were sensitive to local issues, as Lamb was in supporting fracking and Trump’s tariffs. Lamb also claimed independence from the Democratic establishment by swearing never to support the bogeyman Nancy Pelosi. What do our district’s tea leaves tell us about the second question? Does a conservative Democratic candidate need to be pro-life to win in a marginal or Republican district? I only have public information on which districts voted for whom, my own observations from living here for so many years, and some recent townie bar and coffee shop conversations. I don’t think Lamb’s being overtly pro-life would have helped him much. More to the point, his victory doesn’t suggest that Democrats need to be pro-life to win our kind of district. They need to run along broadly conservative lines on economics and other issues, but they don’t need to defend the unborn. First, Lamb won despite being pro-choice. He said that as a Catholic he’s personally opposed to abortion, but invoked the cliché version of the separation of Church and State to justify ignoring his convictions. “To me, that means we defend the law as it is,” he said. He also said, “Once you make something a right, it’s a right. And it’s like that for a reason.” He declared that he would have voted against the twenty-week abortion restriction. Might Lamb have gotten more votes if he’d defended life? Probably. But he would have lost some too, in voters who would have stayed home. He won most of his narrow margin in the wealthier suburbs, which tend to be much more pro-choice than the poorer urban and rural areas. Though he won 62% of the vote in our working class borough (median family income $45,000), he won 59% of the vote in the wealthy borough next to us (median family income $156,000) and by even greater margins in some other wealthy areas. He lost most of the less affluent areas. In fact, as FiveThirtyEight reported, the district “is both wealthier and better-educated than the nation as a whole. As the numbers show, Lamb won this election not in ‘Trump country,’ but in the Allegheny County suburbs.” See the map here for the breakdown in each voting district. Lamb’s an ambitious man undoubtedly looking to climb as high as he can. He won’t go very far even in western Pennsylvania if he bucks his party’s pro-choice orthodoxy. His “personally opposed but” line is as far as a Democratic candidate can go. He can upset the advocates of gun control, the environmentalists, the globalists, but not the pro-choicers. Third, abortion wasn’t an issue in the race. Saccone’s website contains not a word about it, and as far as I know he didn’t run a single ad on the subject. The outside groups that put an estimated $10 million into attack ads blasting his opponent never, I think, brought up the issue. Even in trying to tie Lamb to Pelosi, which they did all the time, they didn’t use her radical pro-choice views as a wedge. Saccone’s people, who presumably know what they’re doing, didn’t see the life issue as a useful one for him. My reading would be as pessimistic as Kristin Day’s. She runs Democrats for Life “I’ve been on the job for 15 years,” she told McClatchy DC . “And this is the most difficult it’s been. I don’t know what’s going to happen to pro-life Democrats.” One sign of the problem: DFL is only endorsing two sitting congressmen (Joe Donnelly and Dan Lipinski) and three candidates in the Democratic congressional primaries. 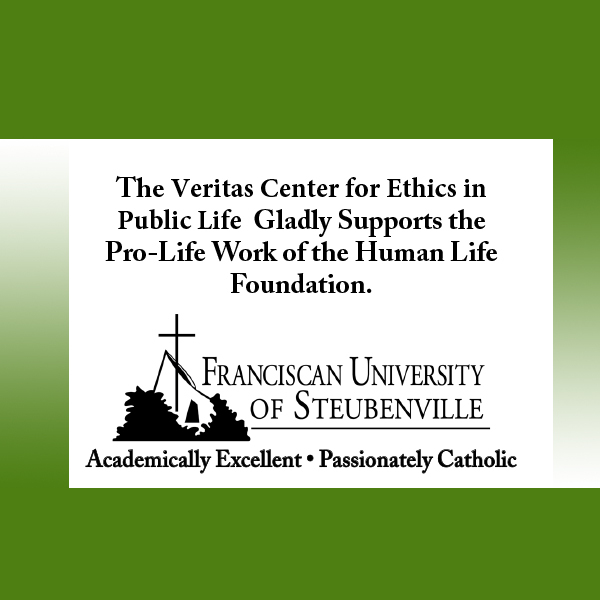 The county very much needs a pro-life voice that is not Republican, one which offers a different vision of the common good. We need a strong “whole life” presence in our national politics. Sadly, not only for the unborn but also for the country, the head of NARAL Pro-Choice America is probably right about the Democratic Party. Speaking to McClatchy DC, Ilyse Hogue says of “proudly pro-choice” candidates: “These values and the candidates that support them are the heart and soul of the Democratic Party.” Conor Lamb’s election did nothing to prove her wrong. 1,228 people have visited this page. 1 have visited this page today. Donnelly is a senator. They probably also support Manchin. Lapinsky recently won his primary for representative. Doesn’t seem like it will make much difference anyway. The allegedly (since there is no evidence to support the claim) “pro-life” Republicans just gave another $500M to Planned Parenthood. In an “Omnibus” bill that increases the national debt by another $1T (yes, that’s TRILLION). One thing of which we CAN be sure: Republican promises mean NOTHING! That seems to me true. Real, politically-motivating concern for life is not that strong even among the broadly pro-life people in an area like ours.